Episode 7 : Suicide Squad 3 - Jailbreak! Well here is the newest episode of Task Force X Episode 7: Suicide Squad 3 - Jailbreak! 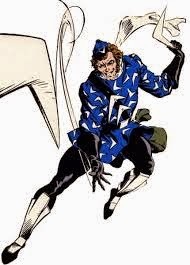 This episode we do a character profile on George Digger Harkness aka Captain Boomerang! We also cover Suicide Squad #3 Jailbreak! This issue Belle Reve Prison is invaded.... by who????? Listen to this month's episode and find out!